PT Jamsostek (Persero) is a largest state-owned company in Indonesia engaged in organizing labor social security. The Company was established in 1977 and headquartered in Jakarta. The Company supported 130 branches in 8 regional offices across Indonesia. As of December 2011, the Company supported by 3,240 dedicated staff. Based on PT Jamsostek (Persero) Financial Statement 2012, the Company has recorded a significant growth and satisfactory performance. 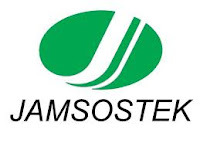 PT Jamsostek (Persero) reported total net profit worth of Rp2.13 trillion for the end of December 2012, or a growth of 5.69% of net profit in 2011 amounting to Rp2.02 trillion. For detailed information about this recruitment program, please refer apply from PT Jamsostek (Persero) on following link below. If you believe you have the necessary skills, qualities and experience to succeed in this position, please submit your complete applications on 26 - 31 May 2013 through www.ppm-rekrutmen.com/jamsostek. All applications will be treated confidentially.